Popular culture regularly tells us that it is good to be different. Bristol-Myers Co ran a commercial ad campaign a few that described Nuprin as-- Little. Yellow. Different. Better. Unfortunately the product didn't do well in the Asian communities because they felt it was a racial slur and Nuprin was ultimately a failure, but the need to be different continues to be a driving force in day-to-day decision making. Being different for a car guy can be as simple as driving anything from AMC for your classic, or you can go off the deep end with something like this 1967 NSU TTS offered here on craigslist for $9,500 near Cleveland, OH. This NSU TTS (the little sedan dropped the Prinz name at the beginning of 1967) started life as a common production version, but at some point in time was turned into a track car. 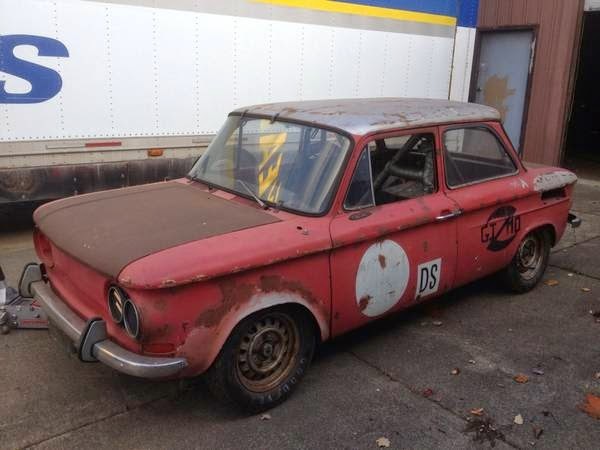 The seller seems to indicate that it is a period race car, but a SCCA log book or something else showing it racing years ago would be helpful to establish pedigree. 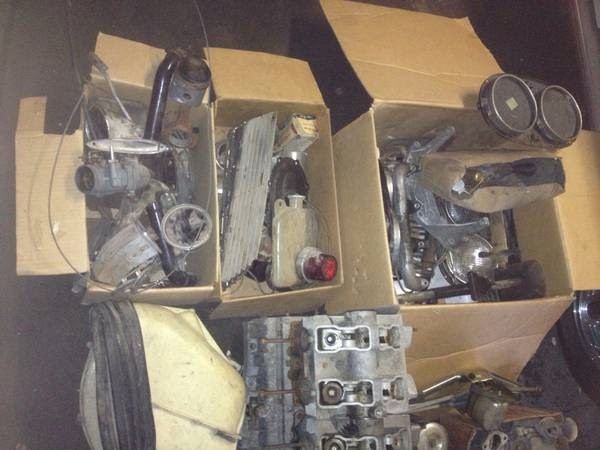 The car is a major project and the engine is disassembled, but the seller claims all the parts are complete. Invest in a set of factory manuals if you can find one because you are going to need more than a simple workshop manual to get it back together. Reassembled, this air-cooled 1.0 liter inline-4 will live in the trunk and push 70 horsepower to the rear wheels. It may not sound like much, but the lightweight Prinz will be surprisingly fun to drive at the limit. Final thought: Nuprin is coming back in 2015. Sweet. So is the lede photo showing the front or the back? I don't think I've ever seen a car that is that symmetrical from front to back. That imbedded link to the repair manual from Autobook brought back a lot of memories. I had one for my first car, complete with the wrapped plastic front and back covers (really easy to wipe clean of grease and oil stains!). IIRC, Autobook coined the infamous phrase "Reassembly is essentially the reverse of the process above". That usually covered a multitude of sins, but did help me develop improved mechanical problem solving skills. As for the NSU, I raced autocross against one back in the 1970s. It was a serious and nimble competitor. However, this car at that price, no thanks. I used to race this car back in the NY/NJ area in the 70's. The GIZMO on the side was the name of my race team. I have pictures of me racing it at Bridgehampton on Long Island. This same exact car? Wow! Would you be interested in doing a writeup or an interview and posting some of the photos? I think I speak for many of us to say we'd really enjoy reading your story. Yes, this same exact car. I'd be happy to tell what I know. Please send us some pictures of the car and more info here: tips@dailyturismo.com. Info about when/where it raced and where it went after would be great. It will make for a great followup story. I'll try to write something up when I get a chance. Here are some hilights. The car was always a race car and was never driven as a street car. It was built by a guy in Baltimore and raced in D Sedan. 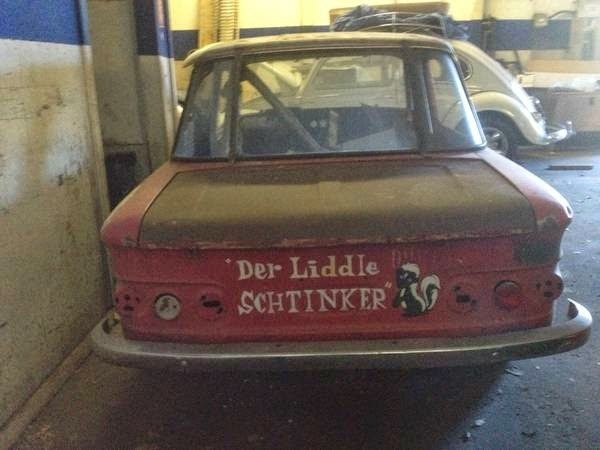 It was sold to a fellow in New Jersey who raced it a bit. I traded my street Austin Mini for it and raced it in Autocrosses in New Jersey (New Egypt, Wall Stadium and McGuire AFB) and time trials at Bridgehampton with EMRA, Lime Rock and Summit Point. I sold the car to a fellow who raced in EMRA. At some point he dropped a valve and the car sat in his mom's garage until his untimely death. The car was given to a friend of his pretty much as you see it now. The next steps of ownership are fuzzy at this point. I believe it went through two more owner until the fellow who was selling it on Craig's list bought it with a few NSU street cars. I wish I could save it. It was a wonderful car and perfect for that time inmy life.